Hunt's Ace Hardware is a member of the largest retailer-owned hardware cooperative in the industry. 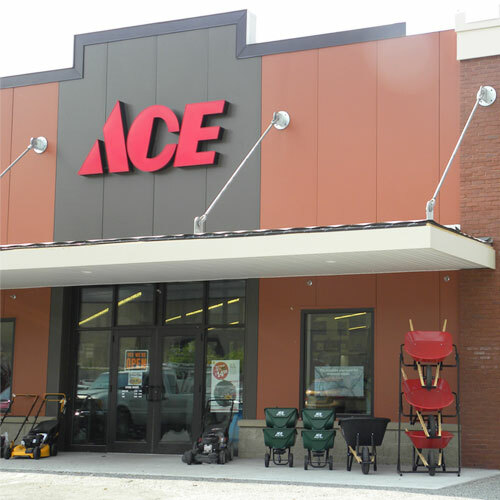 Ace hardware began as a small chain of stores in 1924 and grown to include more than 5,000 stores in 50 states and more than 70 countries. This store has always been family owned and run. George and Dorothy Hanses opened at this location in 1957 under the name Hanses Ace. Their niece and her spouse, Sue and Ken Hunt, bought them out in 1968. They did 2 additions to the store in 1977 and 2003 as their business grew. They sold the business to their son, Thomas Hunt in 2004 who continues to run the business to this day. They are committed to being "the Helpful Place" by offering our customers knowledgeable advice, helpful service and quality products.As the helpful folks in your community, we promise that,"helping you is the most important thing we have to do today."